Greece Library Teen Blog: Teen Book Fest Author Lauren Myracle! 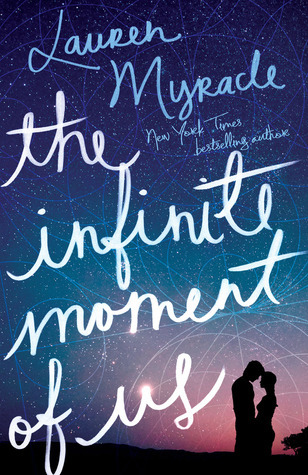 The Infinite Moment of Us is Lauren Myracle's latest teen book, but many of you may remember her for the Internet Girls series, TTYL, TTFN, and L8R G8R, all of which have new covers and have been updated for cultural references for the iPhone generation! Click on the covers below to check our catalog. 1. I have 2 author best friends, Emily Lockhart and Sarah Mlynowski. 2. I have done 3 back dives off the high dive. 3. I can snort 24 times in a row without stopping for a breath of air. 4. When I was a kid, I stumbled into a yellow jacket's nest and got stung 43 times. 5. I received 148 rejection letters before my first novel was accepted for publication. Come out and meet Lauren Myracle in person on Saturday, May 18th at 9:00 am at the Rochester Teen Book Festival at Nazareth College!